We woke up to a hazy skyline on a Saturday morning. I rushed off to my French class in Bangsar, and that was the time it hit me. I could smell the scent of "burning" which was unpleasant and was causing me to cough. It's bad enough I caught this cough sickness for the past week (thanks to my daughter) and now it is aggravated by the haze. 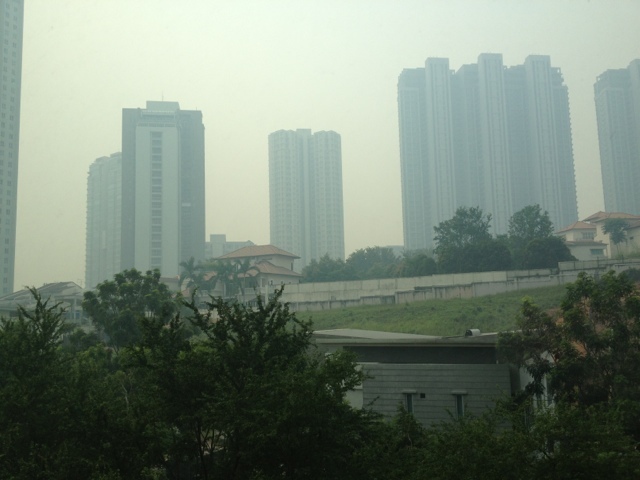 After my class I walked towards Bangsar Village and you could really, really smell the haze. 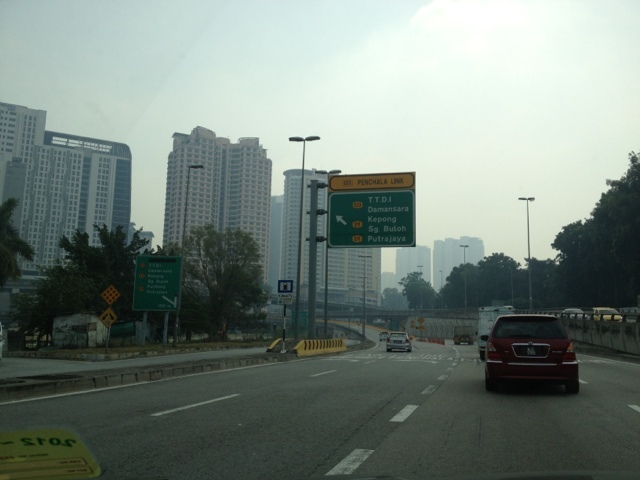 As we drove back home from Bangsar to Mont Kiara, you will immediately notice the haze. Usually from the vantage point of the highway (elevated part), one could see the high-rise buildings of Mont Kiara. I really feel bad for the Singaporeans who suffered a week of haze. I saw all the Facebook updates of friends living there and it was worse than what we are experiencing. Someone even posted about how their Malaysian friends were buying off a number of air purifiers and sending it to Singapore (because they ran out). How I wish we could put a stop to this silliness which Indonesia is guilty off. However, every year we suffer the same thing. When will all this stop? When the trees are finished and no more land can be cultivated? Not sure if the Malaysian government is doing anything about it. Sigh. Update: Sunday June 23 morning, we woke up to an even hazier atmosphere. 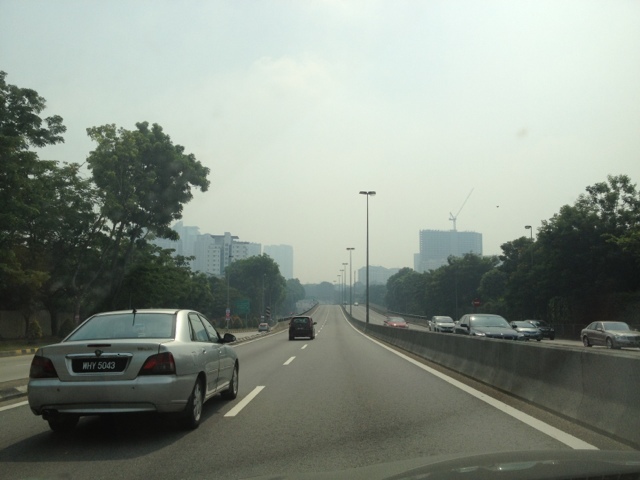 The haze is worse than yesterday. We went to Publika for a late lunch, and though hazy, there were many people out and about doing their weekend thing. Today is horrible and many people on Facebook posting their hazy skyline photos. I wonder when this will end. Usually from this point I could see the buildings of Mont Kiara very well. Today, June 22, it was hazy!